On behalf of the staff at Michigan Road Animal Hospital @ Crooked Creek, we are honored to pay respect to our beloved animal friends who have passed. We also welcome you to create a lasting tribute for your beloved pet or animal friend on our website's Pet Memorial page. 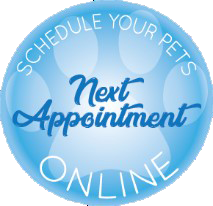 Click here to submit your pet memorial online. In loving memory of Bacardi. Bacardi was my sunshine. He spread sunshine wherever he went. The sweetest, gentlest soul that I’ve ever been blessed to know. I rescued him on Memorial Day weekend in 2009, but he is the one that really changed my life for the better when he crossed in front of my truck that afternoon. I am blessed that he found me and that he allowed me to be his mommy for 8 years. Bacardi was truly special. Anyone with a heartbeat couldn’t help but melt when they looked at his beautiful face while his big brown eyes stared through you. My gentle giant, he never did anything but spread his love and kisses to everyone who crossed his path. I will forever miss my beautiful baby boy, his silly personality, his caring disposition, his bellowing bark, watching his ears bounce up and down as he galloped across the floor playing with his favorite toys… He was always there with me, loving me unconditionally. He was taken from us way too suddenly and unexpectedly, but my only comfort is in knowing that he is no longer in pain, and that he was truly loved. You will forever be a part of me Bacardi. Your Mommy and Grandmommy miss you so very much. In loving memory of Clyde. Always in our hearts. In loving memory of Fancy.